Do you manufacture one-of-a-kind equipment? Are you relocating existing equipment? Did you purchase equipment without proper certification? is your Product/ Field Evaluation Partner! 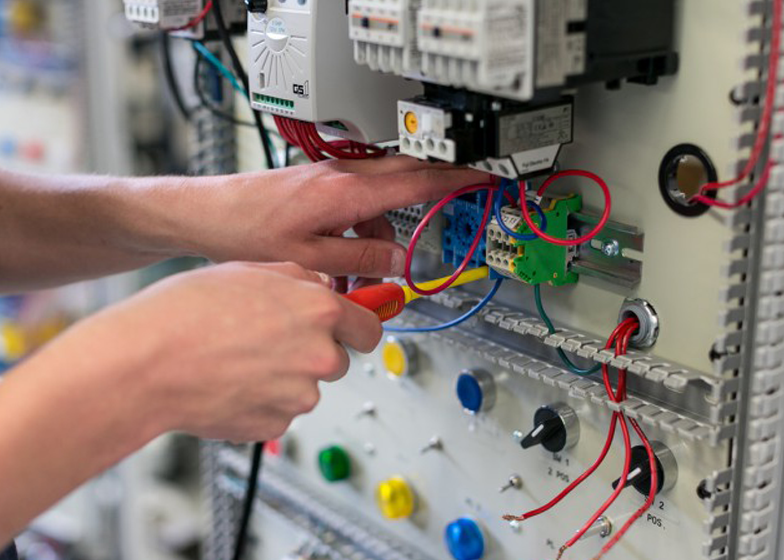 Field Labeling, referred to in some instances as UL approval, is used to demonstrate, that one-of-a-kind equipment, relocated equipment, unlisted equipment, and others meet the safety requirements of local Authorities Having Jurisdiction (AHJ). 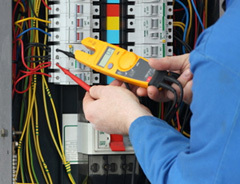 Third Parties such as ITC Engineering perform a safety inspection on such equipment. 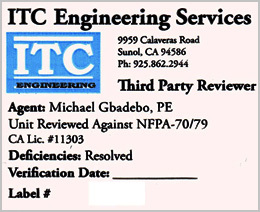 Compliant equipment is affixed with ITC Engineering Field Label, demonstrating to local electrical city inspectors that the Equipment meets NFPA 70/79 as well as any additional local electrical requirements.